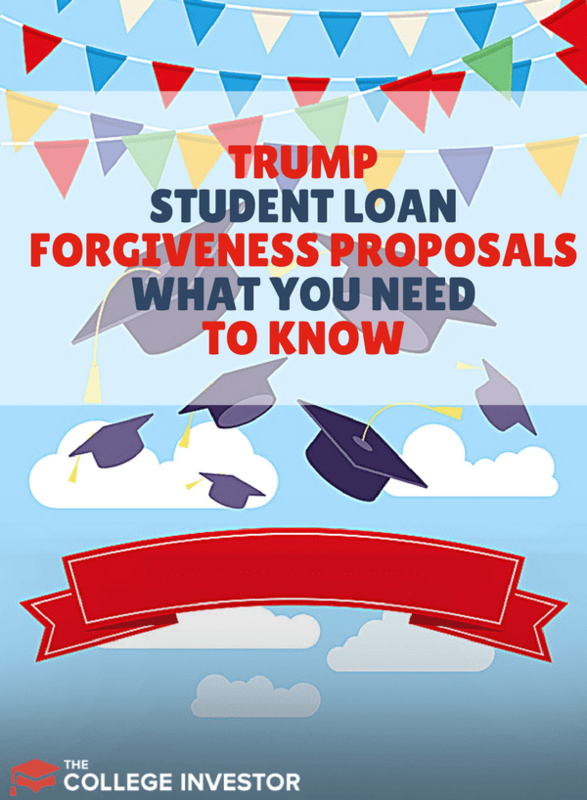 Let's break down the changes Trump's administration has already done with student loan forgiveness, and then talk a little bit about the proposals that he's made. Remember, proposals are just that - proposals. It doesn't mean that these changes will go into effect. However, it's a great reminder for people with student loans that it might be a good time to take action on your debt if you've been neglecting it. With most proposals, they take effect for future loan borrowers - that means, if you're in a repayment plan or student loan forgiveness plan right now, you'll likely be grandfathered in. Okay, so let's talk about the potential changes to student loan forgiveness programs. We think this is a very good change to student loan forgiveness that is common sense. While we're sad to see this tax deduction go, there are others still available and this was mostly taken advantage of by high earners. President Trump, along with Betsy DeVos, have called for the elimination of Public Service Loan Forgiveness (PSLF) on several occasions. PSLF is one of the top ways to get student loan forgiveness in the United States. You will have fewer people pursuing work in public service, government, law enforcement, teaching, and more. 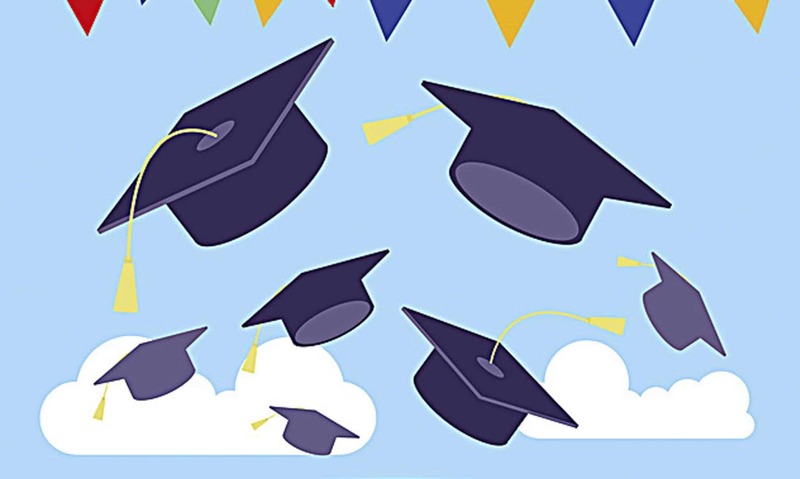 Given many of these fields require a degree, it could be difficult for highly qualified people to get a degree and then work in these lower income fields that are valuable to the United States as a whole. These loans only go towards students who have a financial need. They will still borrow to pay for college, but now it will be more expensive. Some borrowers will benefit by seeing their income driven repayment amount drop to 12.5%, while others will lose by seeing it rise from 10%. Also, the repayment term of 15 years could benefit a lot of undergraduate borrowers, but the 30 year graduate term is longer than all existing plans today. Finally, the forgiveness aspect is important - a shorter repayment term could mean bigger forgiveness, but if that's taxable, that could be harmful. For some borrowers, the ability to get out from un-payable student loan debt would be a blessing. Just read some of the comments on this article. There are clear cases where student loan debt is un-payable and is an undue hardship. However, changing the rules around bankruptcy and student loan debt could seriously disrupt the marketplace for student loans - making it more difficult and more expensive for borrowers to get a loan. Given that the collateral for student loan debt is future borrower earnings, making this collateral less secure will drive up prices. I believe that the student loan interest deduction is a misaligned incentive that doesn't do anything, but does cost taxpayers money. What Should Borrowers Do Today? If you're a borrower concerned about these changes, there are a few things that you can do today to at least be prepared, if not proactive. First, ensure that you know what programs you're on with your student loan debt. You should know your repayment plan, know your forgiveness program if you're going for it, and know your options. Second, you need to ensure that you're current on your loans and not in student loan default. If you are, look at rehabilitating your student loans as soon as possible to get on track. If Trump does change student loan repayment plans, it could be more difficult for you if your loans are in default. If you're not sure about either of these, consider checking out our free 5 Day Get Out Of Student Loan Debt email course. You can also consider professional help. Remember, you can do everything with your Federal loans for free at StudentLoans.gov. It can be scary to think about all of these different student loan repayment plans and student loan forgiveness programs changing. However, plans have changed before, and they will again in the future. Trump's student loan forgiveness plans and proposals are a little scary, but they are currently only going to apply to future student loan borrowers. As such, if you have student loans today, you need to take action and start making progress on them. I have tried to verify that the loan discharge for disability is no longer taxable with the student loan folks. They are saying no that it is still taxable, and if I apply for and are approved for the discharge I will still get the 1099.
Who did you call? Only NelNet handles disability discharge for the Department of Education. Your loan servicer might not be aware of the changes yet. Hi I did a disabled discharge. it’s a process and keep multiple copies of everything log your phones calls ,emails and if you can email conversations Do It! So you have a record. These people act like it’s thier money. You may have to submit documents 2-3 times. Stay on top of them. I don’t have information on the tax. If they want to make bankruptcy possible yet keep it uncomplicated and somewhat inexpensive for future loans, they should simply evaluate the schools. I attended a school that was not accredited regionally. I’d had basically no real guidance in applying for student loans, choosing a school, or what to expect in regards to accreditation. The trade school I attended was my only real introduction to any of these things with promises that my credits would transfer to ABC, their job placement was at XYZ, etc, etc. I am maxed out with hospital debt, house payments credit cards, car payment, life insurance, payments, cell phone bills and utilities. I can’t afford my student loan debt of 853 a month. I can’t find a job my husband and I are pay check to pay check. What is a family to do on on 2800. Monthly take home pay. Are you on an income-driven repayment plan? Based on what you said – $853 per month is roughly $70,000 in student loans on the standard repayment plan. $2,800 per month is roughly $35,000 per year. If you’re on IBR (income-based repayment), your monthly payment would be $133 per month. Second, it sounds like you have a swarm of financial budgeting issues to content with beyond your student loans. I would focus on getting your student loans on an income-driven plan, then tackle your budget issues. I think she is talking about take home pay..which the loan servicers never care about. They want AGI. We have the same situation and same dollar amount of take home pay. IBR is asking us for 356 per month.$122 would be a dream come true. That’s still only 10 or 15 percent of your discretionary income. Here’s how it’s calculated: Discretionary Income Calculator. apply for an idr plan and when it asks if you can reasonably access your spouses income check the no box so they stay out of your income, you took out the loans its not their business what your husband makes. Just checking in to make sure I understand the implications of the new proposals. As a federal employee, I am hoping to take advantage of the PSLF program. However, I am currently in forbearance with my federal loans since I also have private loans and even with an income driven repayment plan I can’t afford my private and federal currently. If I am not currently enrolled in the PSLF program if the changes go into affect would I still be grandfathered in? It wasn’t clear to me if it would still be available to any loans prior to July 1, 2019 or only those already enrolled in the program. Yes, the grandfathering is by your loan origination date. How does IBR help if you are current on Social Security and your loans are in default? If you’re in default the government can garnish your Social Security. On IBR, you can stop the garnishment, AND if your income is low enough, your payment could legally be $0 per month. I am 62 year old and owe approximately $186, 000.00 in student loans. I consolidated my loans when i completed grad school. For the past 15 years I have been working in a non profits organizations. I am currently in a IBR plan. I tried consolidating my loans prior and was told I could not consolidate again. I recently found out about the PSL forgiveness program and contacted them but I was told I did not qualify for the program. How does Trump new law affects me. Nothing you said is really affected by Trump’s proposed changes. I would strongly encourage you to research Public Service Loan Forgiveness again and certify your employment for the last 10 years. If you’ve worked full time in public service, and can certify it, you might qualify for one of the exemptions offered to people on the wrong repayment plan. From what i understand, if you consolidate your loans with a private lender or refinance your loans with a private lender, the loans are no longer eligible for PSLF. This is also correct. It’s not called consolidation, but if you refinance with a private lender, you now have private loans that have no forgiveness options. I just consolidated my undergraduate loans with parent plus loans and I am under the IBR program. I was told after 25 years there is loan forgiveness. I owe a total of 36000 dollars. When they sent me the paper the interest over 25 years is 250000 dollars. I have a low income right now where I pay 0 dollars a month. After I talked to someone on the phone she said after the 25 years you will owe the remaining taxes. I asked does that mean the interest??? 1. If you consolidated a Parent PLUS Loan into your other loans, you won’t be eligible for IBR. You can get ICR, but not IBR. We never recommend people consolidate PLUS Loans, it’s bad for your options. 2. When your loans are forgiven, it can be taxable. But for about 80% of borrowers, it’s not. Read this full article on Student Loan Forgiveness and Taxes (skip to the end with the tax section) and see how this works. I was told that my loans do not qualify for PSLF because they are not Direct Loans. The loan company instructed me to consolidate my loans into Direct Loans and then my 10 year, 120 payments will begin. I have worked as a teacher for 3 years. Will these years count toward the 10 years for my PSLF? No, sadly they will not. Once you consolidate, you will have the correct loan type. Ensure you meet these criteria going forward. I’m so confused. I’m a nurse and work for a non-profit organization and have $125,000 in federal student loans, and my payments are almost $1300 a month, that does not include what my husband has to pay or our private loans. I’m not seeing where any of this is going to help me. So basically because I have a job that pays decent I have to sacrifice everything for the next 10 years or go to work in a bad area so that I can have payments mad on my behalf? So stupid. I went to a private school that pushed loans and never really explained the consequences of the amounts they were offering. Are my choices really to pay $1300 a month for 10 years or work in an area where I put myself at risk? What repayment program are you currently on? Are you working towards public service loan forgiveness or is your plan to pay off your loans within 10 years? If you read the article, Trump hasn’t changed anything, so I’m confused about what you’re concerned about. Stephanie- You may want to look into filing taxes separately as the PSLF has to be on an Income driven repayment plan to qualify. This will lower you payment and now there may be some forgiveness available to you as filing jointly will only have you pay off full amount on standard repayment plan. Obviously your service provider want this option and not save you thousands of dollars. Also with the PSLF, you don’t have to work at a lower income organization as you’re getting this mixed up with the NLF program…totally 2 different programs. PSLF by far is easier to qualify for and also can forgive thousands more when you complete your 120 “On-Time” payments. In all honesty getting rid of subsidized student loans may work out well long term. It was only after subsidized student loans became a thing, that college tuitions started to skyrocket exponentially compared to inflation, to the point that it’s unrealistically expensive and just another machine to take money. Without the loans and other programs, a vast majority of people would not be able to afford to go to college. This could force tuitions to drop to a reasonable price. Sadly there aren’t many options for Parent Plus Loans. You can find them all here: Parent PLUS Loans. My husband has $59k in federal student loans in his name and $88k in his mothers name which she refuses to pay. She did not realize what a parent plus loan was – she thought she was a co-signer. Story short. Our payments are over $1,000 a month. My husband’s income based payment is $371 a month and his mothers loan is $750. PLEASE READ THE FINE PRINT! I strongly educate the youth today if they are taking out massive amounts of student loan debt they better not be going into a career they can’t pay it off quickly with. My husband is a teacher so yeah not happening. Now a doctor maybe. So don’t start yourself out on the wrong foot – it is extremely taxing on your family and relationships to have debt like this. Trade schools are affordable and good paying jobs when you complete. Your husband has no liability for his mother’s loans. Maybe he feels obligated, but at the end of the day they are hers. If you have to balance the finances for your family today, I wouldn’t sacrifice your home to handle her loans. Also, you might find this helpful: Options For Your Parent PLUS Loans. Student loans should absolutely be able to be discharged in Bankruptcy! If someone has hit rock bottom and needs to start over that is what they NEED to do! To say that it will make student loans more expensive and harder to get is a GOOD THING! The REAL culprit here are the RIDICULOUS costs of going to school…and the way that it just gets more expensive EVERY YEAR! An extremely high percentage of those students come out making a third of the money based on what it cost them to get the degree. Proof of that is in the default rate and unpaid student loans! If someone is in the low to middle class income bracket they cannot afford to take on these loans! so, they should pay as they go, seek out an education that is within THEIR means or attend where there is NO tuition but the student works off their debt! Parent Plus Loans are even MORE ridiculous! Once they hit the student with a huge debt they move on to the parents! And of course we NOW have seniors in their 70’s & 80’s STILL trying to pay off this debt while living on Social Security! Student loans should be completely FORGIVEN for those when they reach age 65! This is done in many places!! Bottom line the govt cannot get blood out of a stone and to worry these people to their graves is insane!